An archive post today. 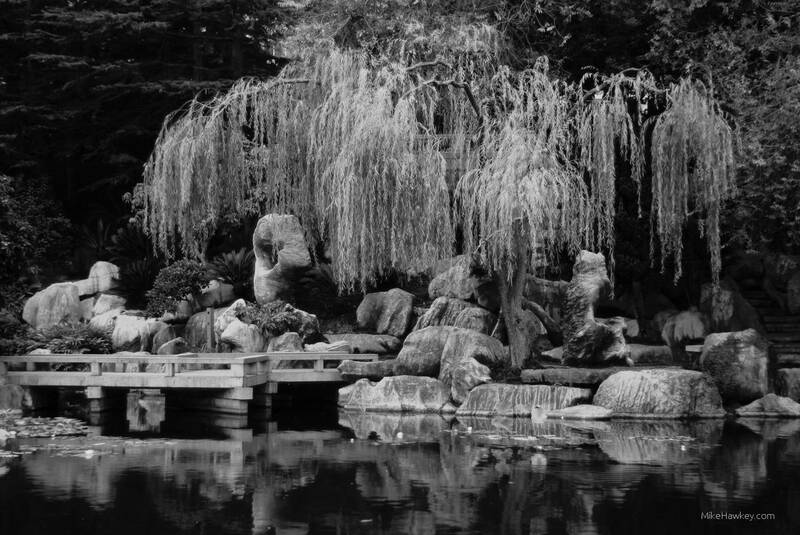 Shot in 2011 at the Sydney Chinese Gardens, I captured this beautiful tree overhanging the stone work and small pond. For anyone visiting Sydney Australia, if you have time I would urge toy to visit the gardens. I think (?) at the time of my visit, it was the largest of its kind in Australia. Worth a few hours slowly walking around, and perhaps getting a cup of tea, the garden has some beautiful stonework, plants and an amazingly isolating power – being it is in the middle of the city. Originally in colour, I converted to B&W in Gimp as it gives it more power and emotion in my opinion. Shot on the Sony A230 DSLR with a minolta 50mm Lens.